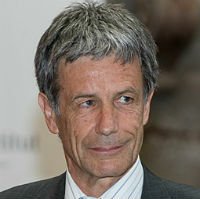 Professor for Civil, Commercial and European Law, University of Zurich Law School; Visiting professor, University of Hong Kong; Director, European Law Institute and the Center for Information and Communication Law at the University of Zurich; Member of the directory of the Postgraduate Studies in International Business Law, University of Zurich; Delegate for international relations of the Law Faculty of the University of Zurich. Also focuses on Internet, Media and Competition Law and International Finance and Trade Regulation. Member of the Steering Committee, Global Internet Governance Academic Network (GigaNet); Member of the European Dialogue on Internet Governance (EuroDIG); Member of the High-level Panel of Advisers, Global Alliance for Information and Communication Technologies and Development (GAID). PhD, University of Zurich.